One of the many personal development opportunities we offer at OUR Center is budget counseling. We know the importance of being able to manage your money. You simply cannot survive in today’s world unless you know how to spend and how to save. 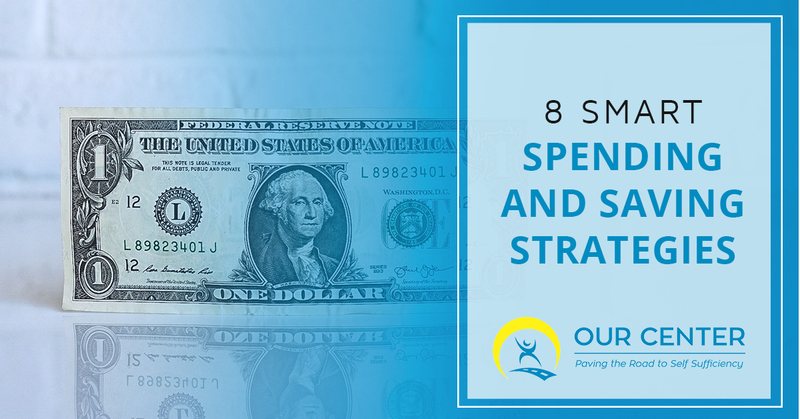 In order to give you a better idea of the sorts of things we’re teaching through our budget counseling, we have comprised a list of eight smart ways to save and spend. Continue reading below to learn what they are. If you want to have some money to fall back on later in life, you need to make it a priority. Start putting aside small amounts of money for your retirement now. This will allow for you to feel secure in your future. Additionally, if you have children, you may want to start saving up for their college now, even if they are still very young. One of the most common issues in a marriage is money. If you want to make your finances work, you’re going to have to work together and both be equally informed. Go over your bills and your budget together so that you can both have a say in how your money is spent. Money is a stressful matter. If becomes even more stressful when you don’t have a lot of it. But saving up for a big purchase is always better than putting it on a credit card. Have the patience to build up your funds, then make your purchases. One of the best things you can do to better manage your money is to balance your checkbook. Not only will this allow you to make a budget for you and your family, but it will also give you an easy way to monitor what you are spending your money on and how you can potentially save in the future. There is a theory behind keeping your checking and your savings accounts separate. If you do not see the balance in your savings each time you login to your checking account, you will be far less likely to tap into that money. It’s easy to have no idea how much money you spend on recreation if you don’t keep track of it. If you want to save more and spend less, limit yourself to a certain amount of cash you can spend on fun activities each month and place the cash in an envelope. Once the envelope is empty, you’re done spending money on unnecessary things until next month. You should always have money that you can fall back on. You never know when you will be involved in a car accident, get sick or get laid off. Having a cushion for emergencies will give you a little room to breathe and prevent you from worrying about the unknown so much. If you only deal in cash, this will give more value to your money as you can physically see when it is dwindling, as opposed to just watching a number go down on a computer screen. Anything besides your bills should be paid in cash for best budgeting results. If you have trouble managing your money and you want to get better about your budgeting habits, we can help you at OUR Center. We have professionals who can teach you how to save and spend your money in the best ways. Contact us today to learn more about how we can help you!